Spend only 5 cents per pool cleaning! 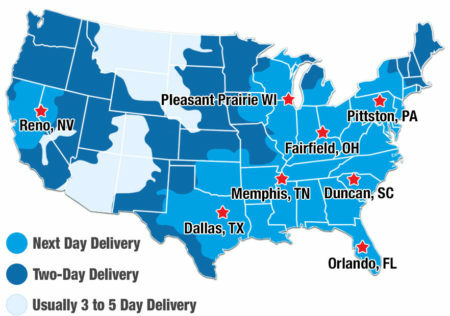 The Jet Drive IG is your most cost-effective choice if you need to stick to a certain budget. It can clean any material and all surface types, such as: vinyl, gunite and/or fiberglass. 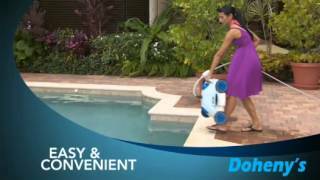 The Jet Drive IG has two fixed brushes to thoroughly clean your pool in minutes. It comes with a 50 ft cable which is kink free so you don't have to worry about it folding in awkward places. If the 50 ft cable doesn't sell you, maybe the fact that it can clean pools up to 40 ft will. Our Pool Pros put our products to the test so you know which products give you outstanding results and value. 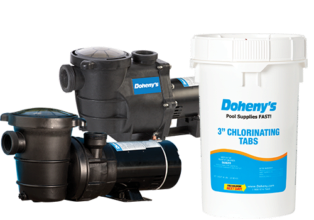 Tested, tried and true for high quality construction, ease of use, efficiency and reliability - shop this Doheny's Pool Pro Pick with confidence and SAVE!